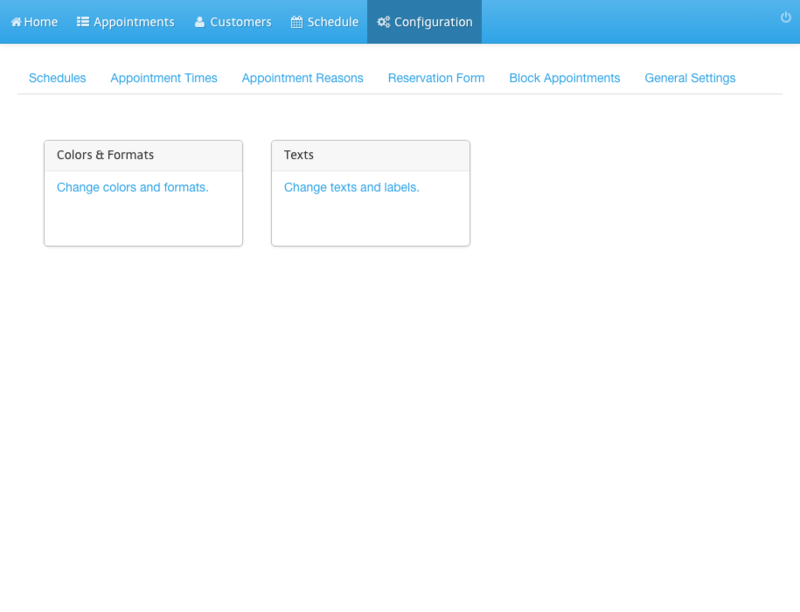 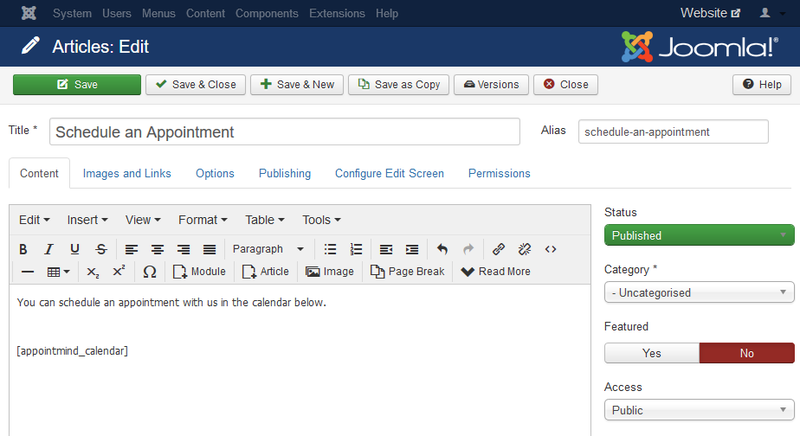 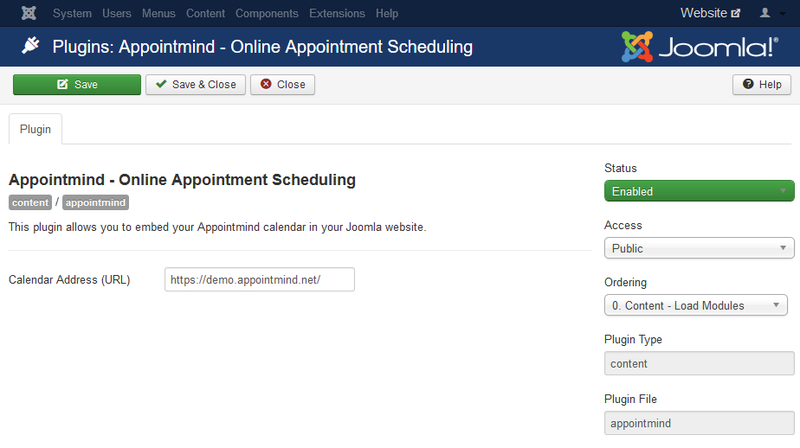 The instructions below show you how to embed the scheduler in your Joomla website. 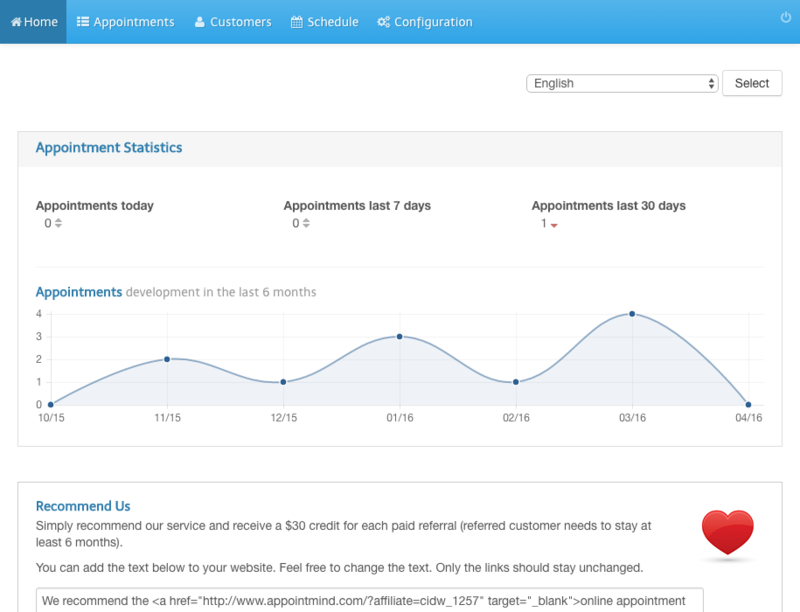 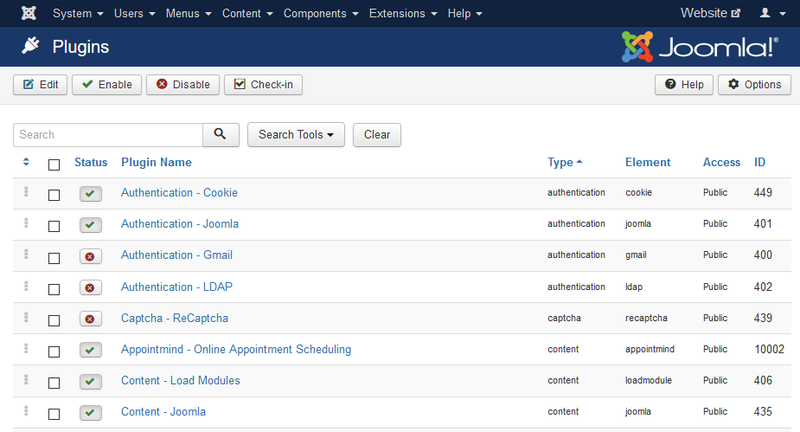 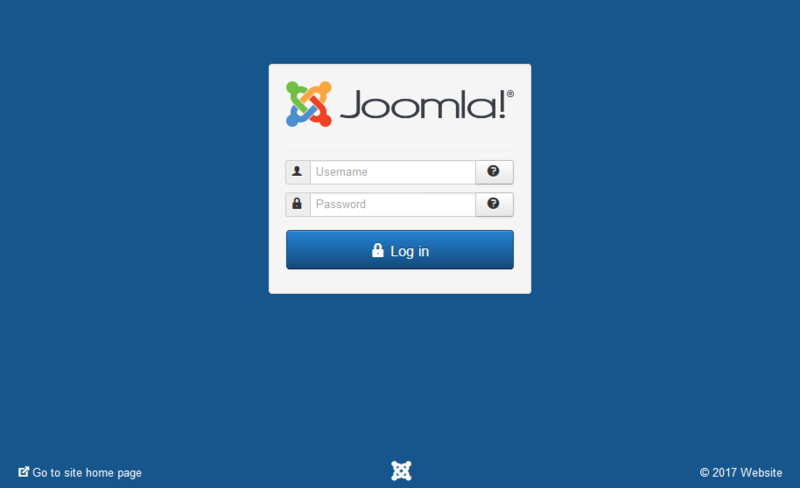 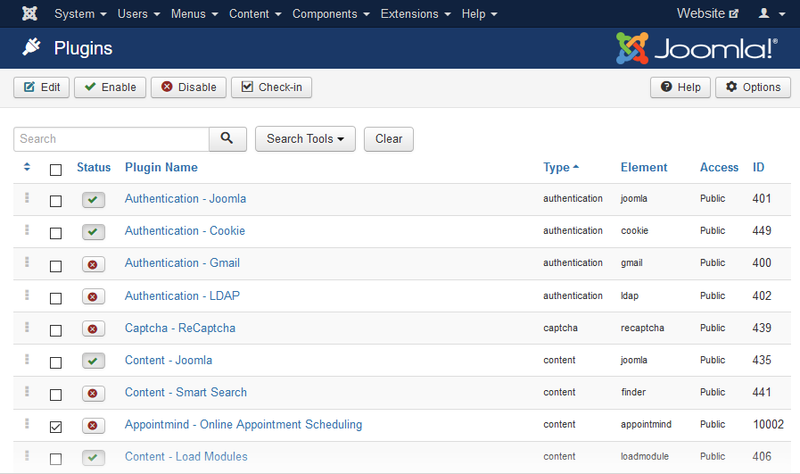 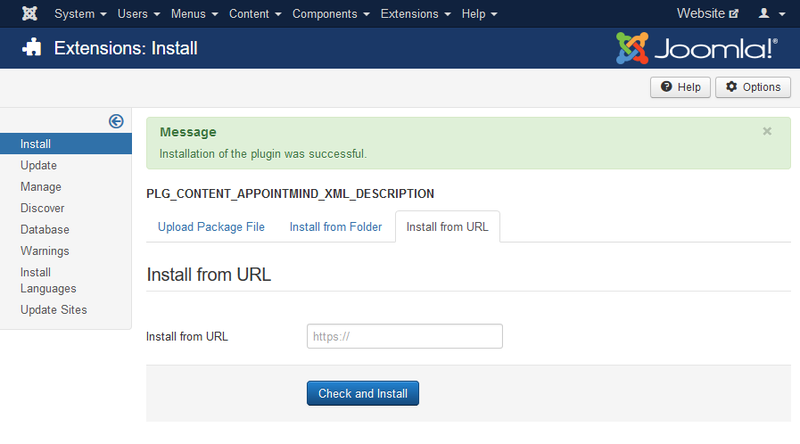 Login to the administration panel of your Joomla installation. Select Extensions / Manage / Install. Get the download URL on the Joomla page at our website. 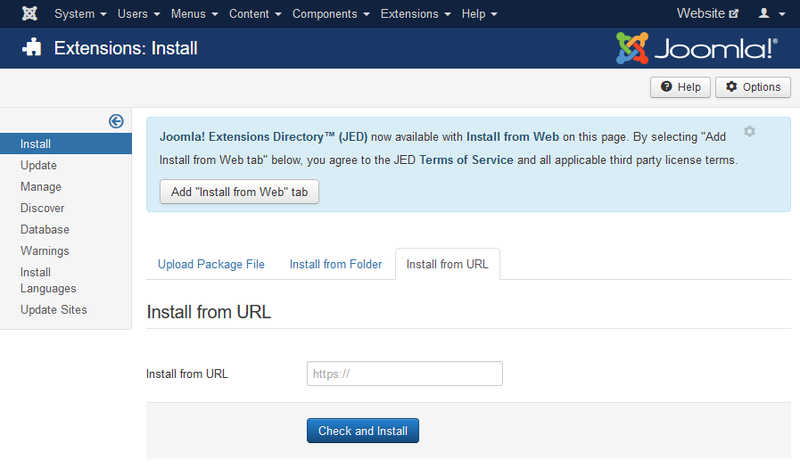 Paste the URL into the form field in Joomla. 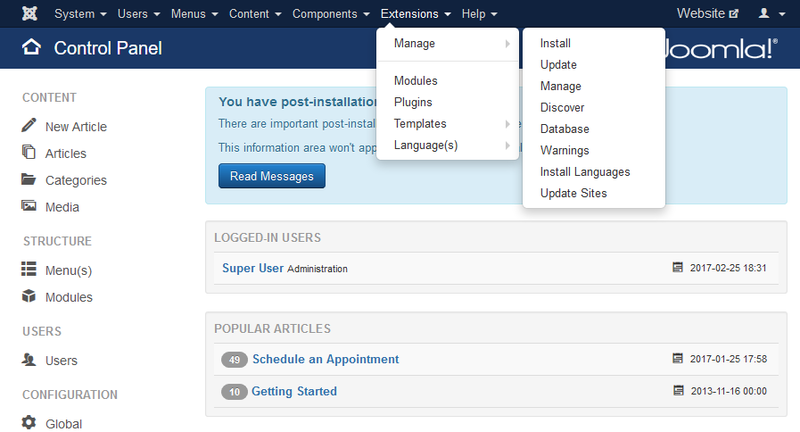 You should see a message that the installation has been successful. 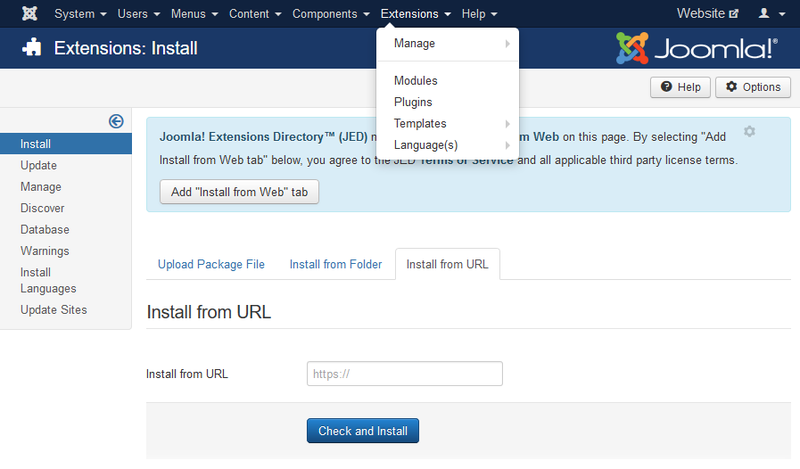 Click the plugin name in order to edit the plugin options. 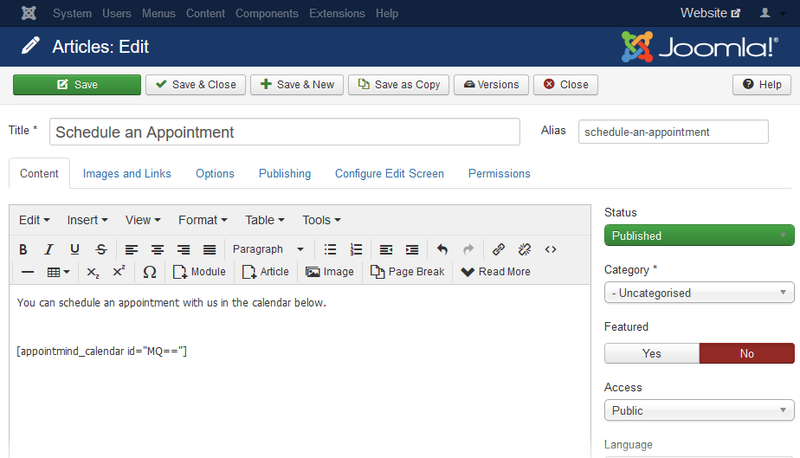 Copy the URL below the line All Schedules. 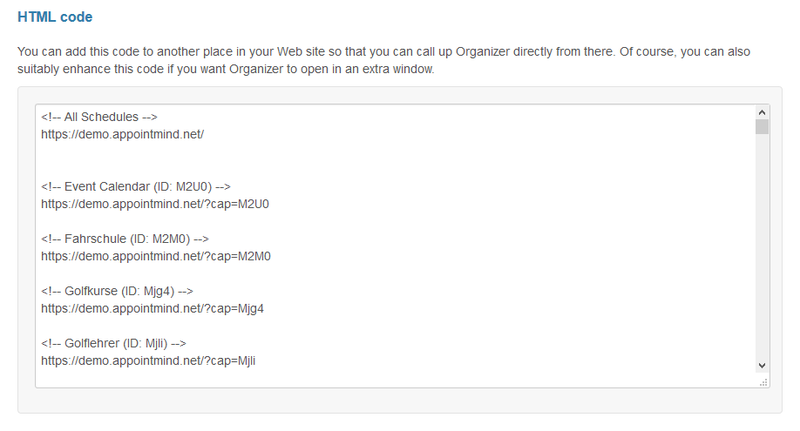 Paste the URL in Calendar Address (URL). 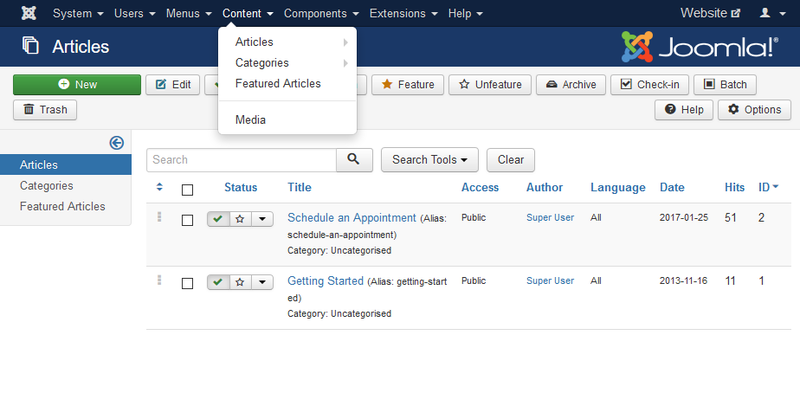 Create a new article under Content / Articles. 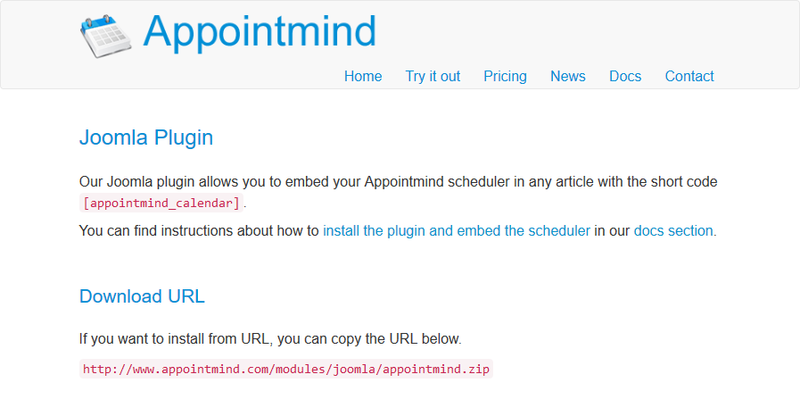 Add the short code [appointmind_calendar] to that article. 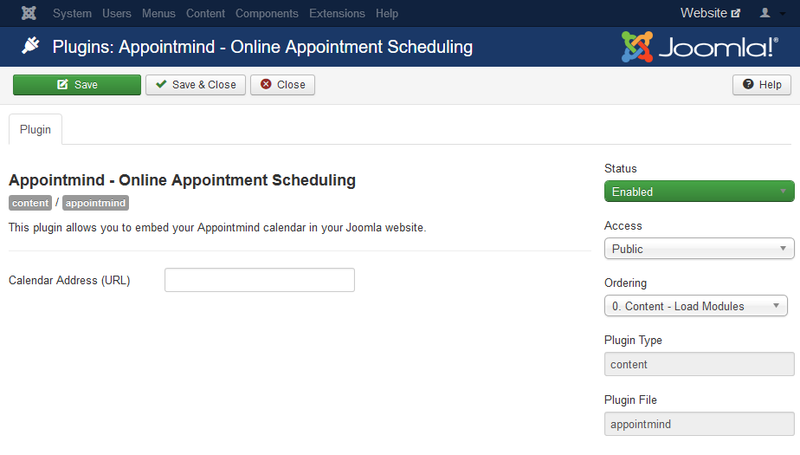 If you have more than one schedule and want to embed a specific schedule, go back to your Appointmind admin panel and scroll the content of the HTML code box down until you reach the sections with the short codes that are labelled Wordpress/Joomla Short Code. 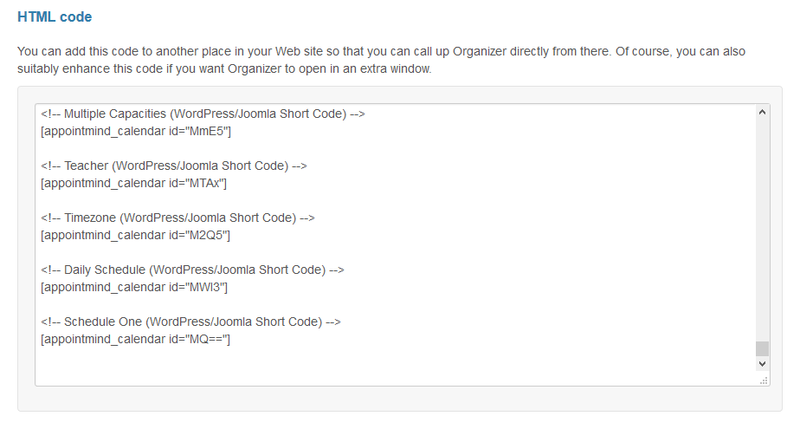 Copy the short code of the schedule you want to embed. 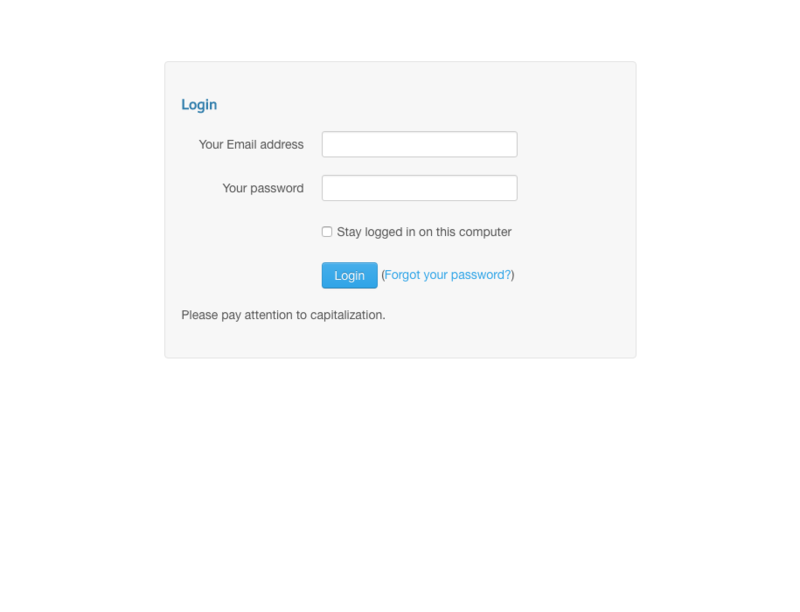 Add the short code to your article.